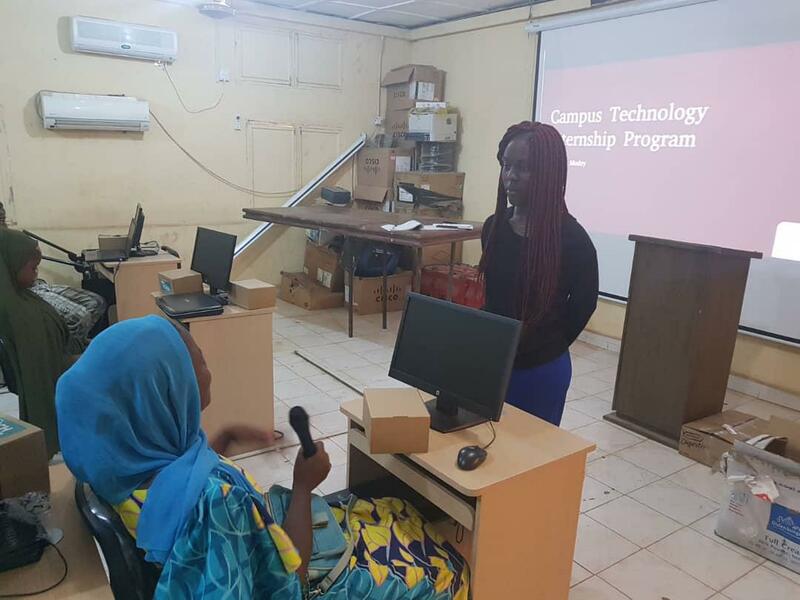 The Usmanu Danfodiyo University Sokoto CTIP programme started on the 15th May 2018, with an assessment test to enable Eko-Konnect select students to partake the program. 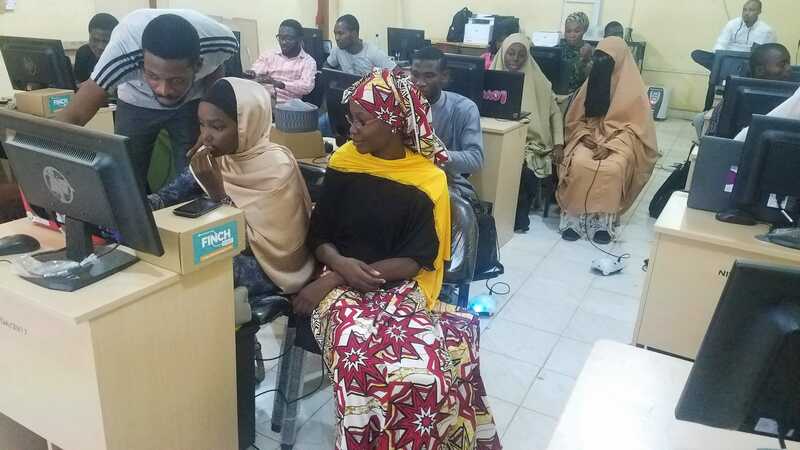 50 students from various departments in the university turned up for the test, which was conducted at the UduSOK ICT lab on campus. The test was computer-based hosted on UduSOK’s Moodle server. An interviewed session soon follow while grading was based on students’ communication skills, technical knowledge and appearance. 23 students were selected for the CTIP programme comprising of 11 female and 12 male students. Day 2 of activities began with the CTIP orientation to outline the goals and objectives of the programme to the interns. The orientation described the 4 basic points of the programme: 1) Programming & Robotics, 2) IoTs, 3) Networking and 4) Internet Governance. An Introductory session on Linux Operating System was the next presentation of the day. The interns were given a brief history on Linux and its benefits aimed at encouraging the interns to broaden their scope and adopt the Linux OS in their daily use rather than the more traditional Windows OS. Training on programming for Finch Robots using SNAP programming language followed. This session started by describing the various components and sensors of the Finch robot and how they can be used. By the end of the session, the interns were able to write SNAP programs to move the robot in various directions. 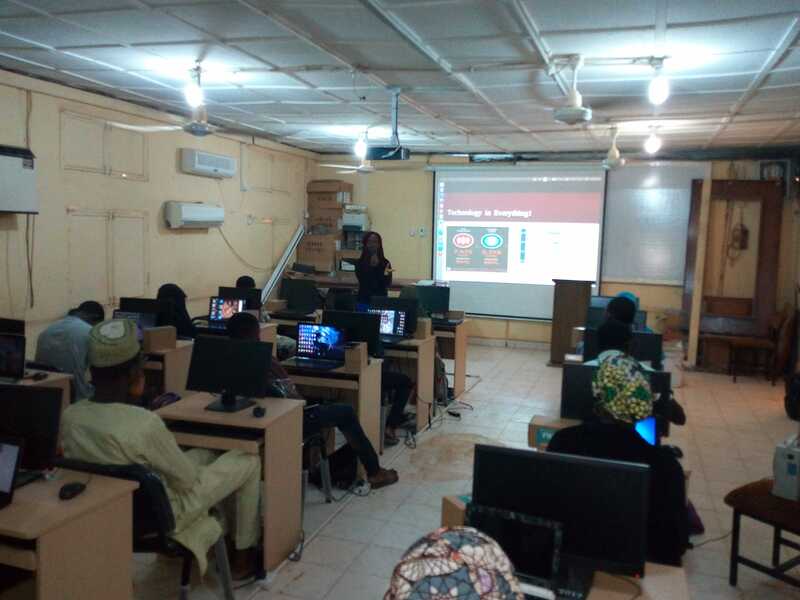 On the third day, the interns were also introduced to the training resources provided by Eko-Konnect on the university e-learning Moodle site, to assist their own self-paced development in learning to programme with SNAP. 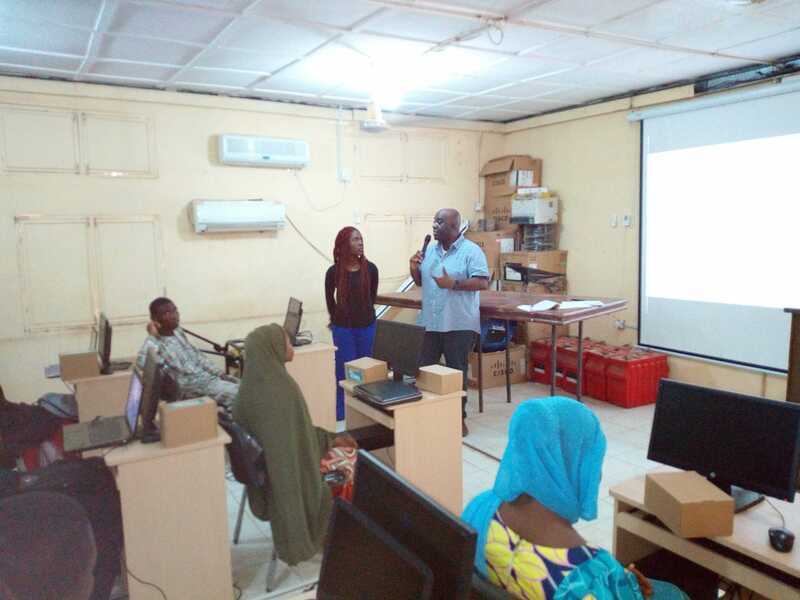 The use of a Raspberry Pi device was also demonstrated to the interns, and they were challenged to think of projects that can be implemented with a Raspberry Pi. The day ended with closing remarks from Eko-Konnect GM Mr Owen Iyoha, encouraging the interns to see the CTIP as a way to develop their skills and start to solve problems in their society. The interns agreed to convene at the UDUS ETF Laboratory twice weekly. 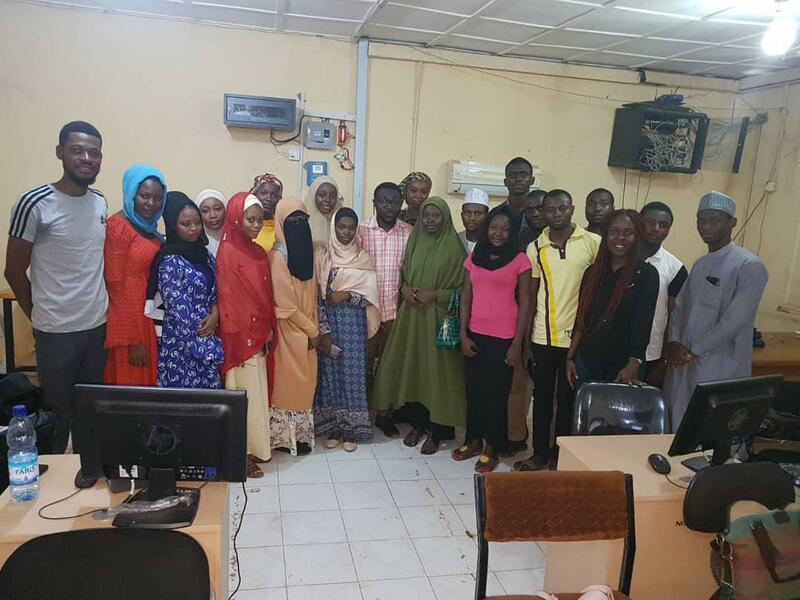 To conclude the programme a meeting with the ICT director Mallam Chafe Ahmed and members of the ICT staff, where the training equipment consisting of Laptops and Finch robots to aid the interns with their learning was handed over to the ICT director.